It’s a real thrill to see forms of horticulture you’ve believed in burst into the mainstream. On the other hand there’s often that nagging nostalgia for the community and spirit of your passion projects once they gain popularity. Fortunately, out on the road you find all kinds of new cultivation movements in their infancy, brimming with eager people and big ideas to motivate the heck out of you. So it was on our recent trip to Chile. Chile has a massive amount of personality and innovation in its cultivation sector. The lively enthusiasm, inherent to the Chilean horticultural scene, also has some interesting origins. 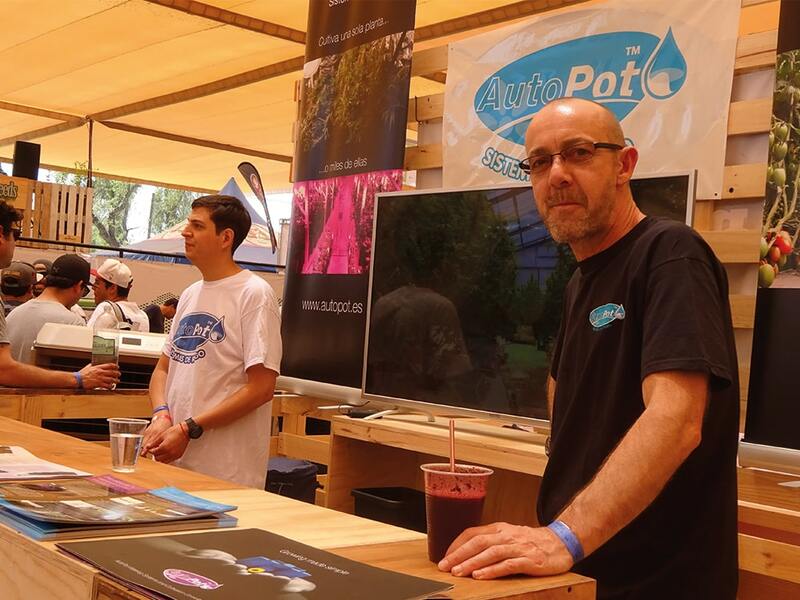 We got to the root of things with a store tour and an AutoPot presence at Latin America’s biggest cultivation show; ExpoWeed Chile . 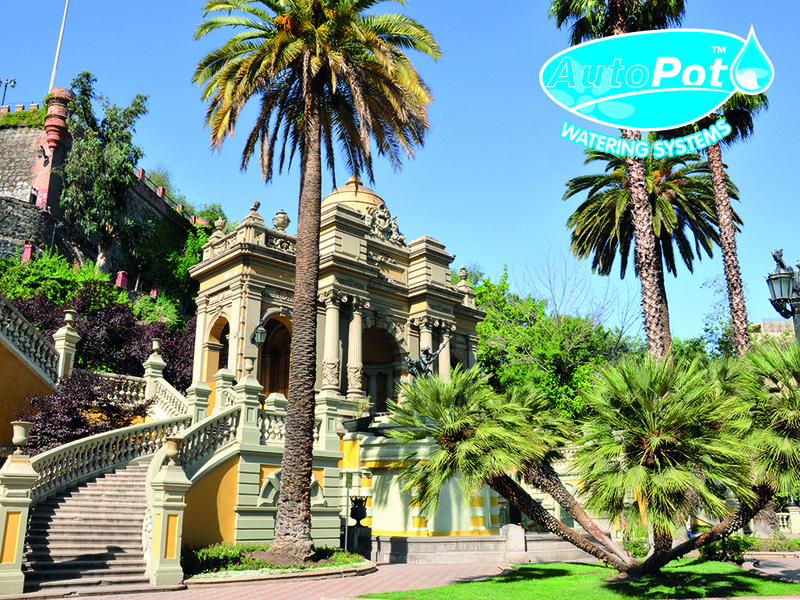 Latin the good times roll in Chile (with the requisite amount of business orientation) were our Spain and Latin America Commercial Director, Elena Perez, and AutoPot Managing Director, Jason Ralph-Smith. Elena played the “hare” and bounded off across the Atlantic in a giant leap to survey the landscape. Once arrived she decompressed by immersing herself in Santiago’s intricacies and mysteries, street by street. Later she would hop around the grow stores of Santiago and its environs assisting our local vendors with AutoPot. Jason, once fully in character as “the fox”, would follow after in order to enchant the hordes at the ExpoWeed show and beguile our local commercial partners. Checking out Chilean cultivation is an absolute joy, not least because so few people involved are purely in it for the money. The sector is dominated by genuine enthusiasts whose interest in plants is the common factor. These enthusiasts come from all walks of life. A great number of growshop owners in Chile have parallel careers in completely different sectors. Many store owners are professionally trained in other trades; lawyers, engineers, designers and the like, who live a second life running the stores that stir their interests. Having a store to escape the strait-laced working culture in Chile was a regular topic of conversation on Elena’s tour. In this respect the stores are very much a lifestyle choice for passionate growers, making them great fun to visit. The professional background of many owners means they grasp new tech quickly, see applications outside the conventional and have advantages in terms of access to marketing and technical resources. This is really important given that hydroponics is a relatively new, growing phenomenon in Chile and is yet to be adopted on the sort of scale seen in Europe and North America. Given that hydroponic systems are only just appearing in quantity in Chile it’s important to present them in the right way. In terms of the grow store scene it’s handy to have someone who growers trust to introduce you as a manufacturer. Who’s that guide? Chaskon The Farmer is that guide! 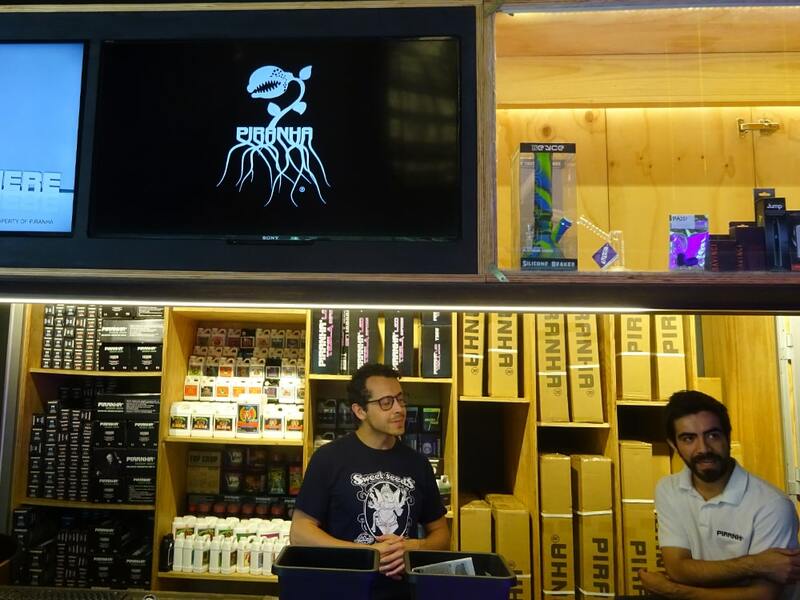 When you walk into a Chilean grow store with Chaskon The Farmer eye’s prick up, ears are peeled, hearts begin to melt, people are immediately ready to take you seriously. We took it as an immense compliment that Chaskon was happy to introduce us to the stores. 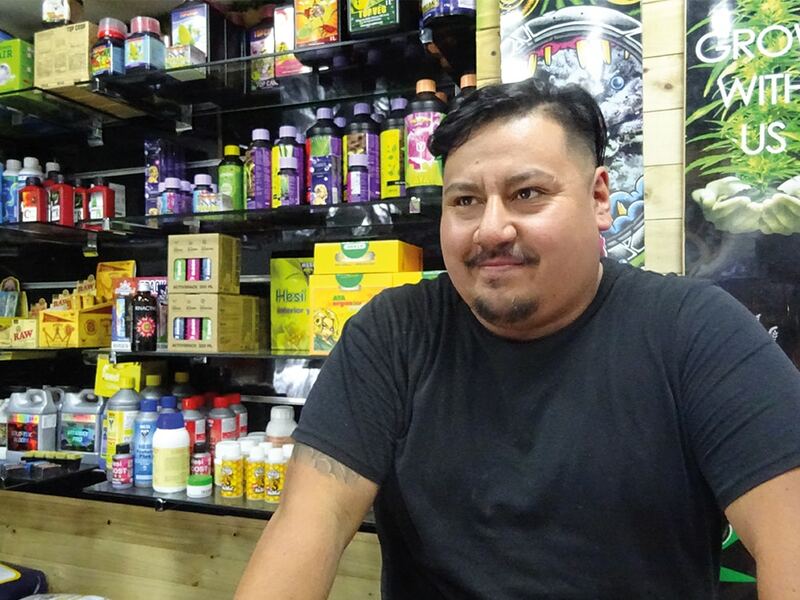 He and his c.17k Insta followers (followers not present on the store tour) carry a great deal of kudos on the Latin American growing scene and beyond. 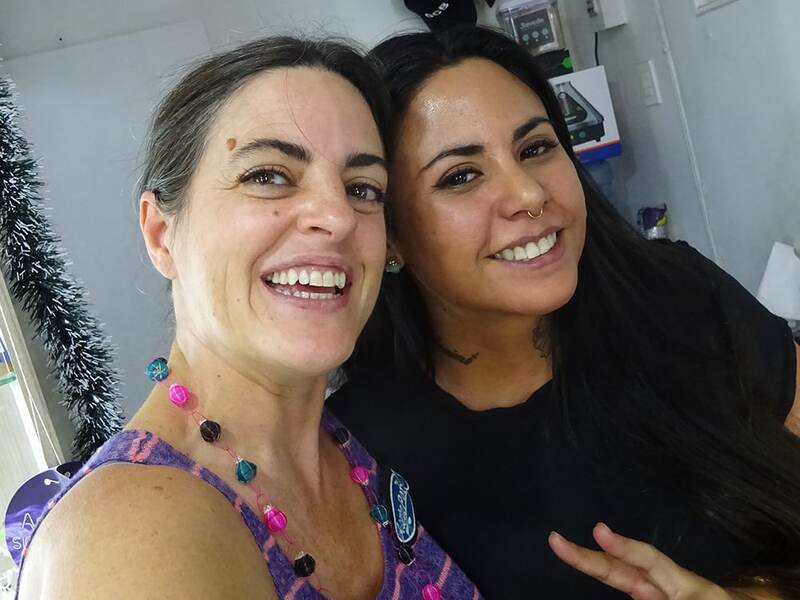 Elena met up with Chaskon at one of his five HydroGrow Chile stores. Bijou, but capable of serving its customers perfectly across the five branches, HydroGrow Chile proved a great jumping off point. From there Elena was whisked to GrowShop Chile whose proprietors Moises and Freddie entertained our visitors for hours. Traditionally, Chilean growers raise plants from seedlings but foreseeing an upward trend in propagation Moises was deeply intrigued by the easy2Propagate. Intent listening and pertinent questions followed at Outlet Grow where Elena learnt a little for herself about substrate issues facing Chilean growers. Though Chile is a producer of perlite such aerated media are in scant supply, as are clay pebbles. Two potential, improvised solutions in such situations are washed gravel or broken clay pots. Chaskon’s protege and employee, Max, showed us the way on Day Two. An in-depth visit to AguaLuna ensued where we also learnt a little about the high mineral salt content in the Santiago water supply. 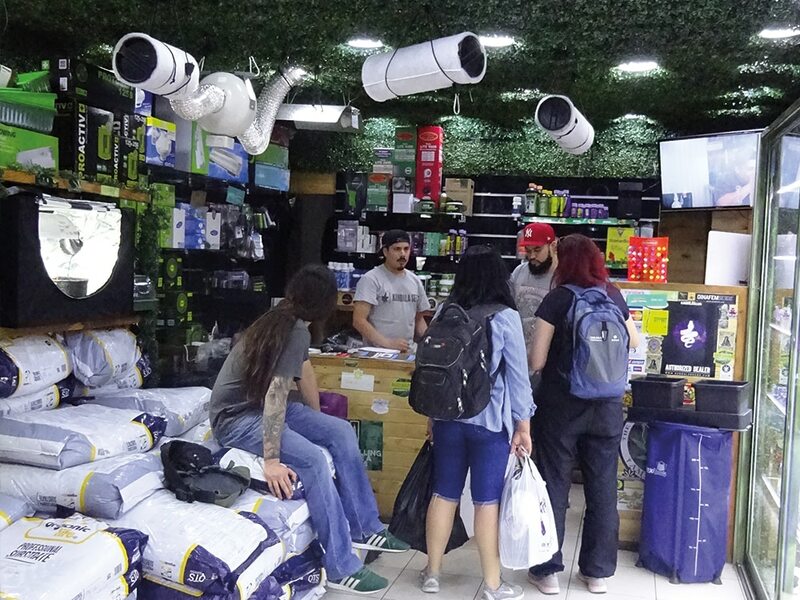 easy2grow stockists AstroGrow are a pro-focussed store whose best selling systems reflect the Chilean tendency towards high-density grows in smaller pots. Camila Trucco another key Insta influencer joined us at SmokeHouse, we look forward to seeing her progress with the free 4Pot System sample she’ll be receiving. The artfully high-end Piranha was the next stop. Elena’s heart was devoured by this huge, modern affair, easily the match of the best Euro/US stores complete with all the customary grow tents and demo areas. Whilst typical growers in Chile may not buy immense systems the variation and execution of their grows is nonetheless impressive. The predominant small scale, home-based trend in cultivation is related to the legal status of cannabis in Chile. Namely, home-growing and home-consumption are decriminalised. 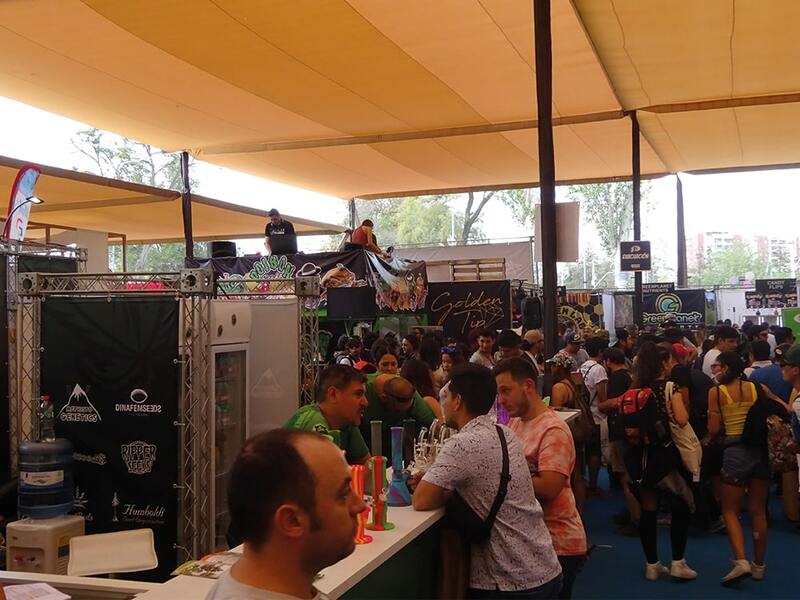 Elsewhere in Chile medical cannabis now legally exists and producers are seeking water-efficient, low-overhead solutions in order to provide a less expensive domestic supply. Latin America’s largest medical cannabis farm opened just outside Santiago in September 2017 cultivating c.7k plants at a time. Canadian medical cannabis producer and distributor Tilray are also in country having acquired the government licensed Alef Biotechnology. Commercial indoor fruit and vegetable cultivation is burgeoning too, partly as result of the relative lack of affordable growing land. Whilst Chile is big its geography means farming land is limited and thus expensive. As a country Chile is an astonishing 14,007,840 AutoPot 1Pot modules long (2653 miles / 4270km) but, incredibly, is only 580,800 AutoPot 1Pot modules wide (110 miles / 177km). The extensive length is bounded on one side by the Pacific Ocean and on the other by the mountains that comprise around 80% of the landscape. Add to that the northern deserts and you have a country that ticks all the dramatic, beautiful and diverse boxes but can be tricky place in which to grow. Whilst in Chile we spoke to several Chilean commercial growers who we hope to assist in overcoming some of these issues. Beneath the sheets of ExpoWeed’s vast, tented pavilion roof showtime beckoned. Southern Hemisphere shows are a real shot in the short sleeved t-shirt wearing arm for us in the winter months. It’s great to see hot, well-attended events taking place in the semi-open air. Elena compared the big-exhibitor-toting, well-organised, friendly-faced event to Spannabis in days of yore. Sharing a nicely crafted stand with Mills and our Chilean distributor Pure DNA we received guests hailing from Chile’s tip to it’s toe. Tippy-toes! Many were licensed for medical growing or keen to distribute to licence-holders. Heavy presence from Spanish and Dutch companies tells you what you need to know in terms of market viability. The event doubles down on this as a focal point for Colombian, Uruguayan, Peruvian and Argentinian growers and distributors, in turn attracting more of the Northern Hemisphere’s horticultural behemoths. 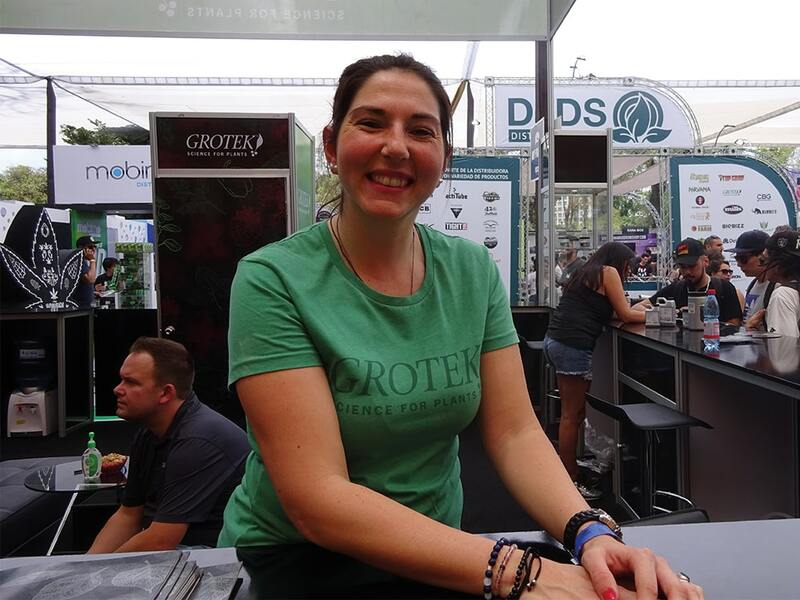 The legal situation surrounding home growing and consumption meant we welcomed a great many enthusi-astic and knowledgeable domestic-level growers on the public-dominated Sunday sessions at ExpoWeed. Up close with their plants at home and engaged with cultivation on a daily basis the visitors we received were quite stirring in their passion for growing. It was really nice way to round off a terrific week, one which we hope to repeat soon in Chile.